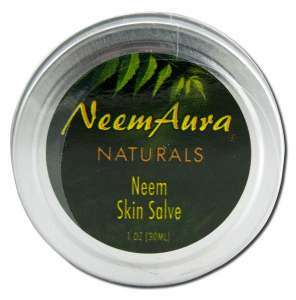 NeemAura can soothe the effects of irritated skin no matter what the cause, whether too much heat, allergies, or insect bites. INGREDIENTS: EACH 1.0 OUNCE CONTAINS A PROPRIETARY BLEND OF ORGANIC NEEM LEAF (AZADIRACHTA INDICA) ALMOND OIL, SAFFLOWER OIL, BEESWAX AND VITAMIN E OIL. Neem Aura utilizes organically grown Neem leaf. Neem is considered to be the miracle herb, with a history of use in the Ayurvedic tradition. No Animal Ingredients. Cruelty Free.